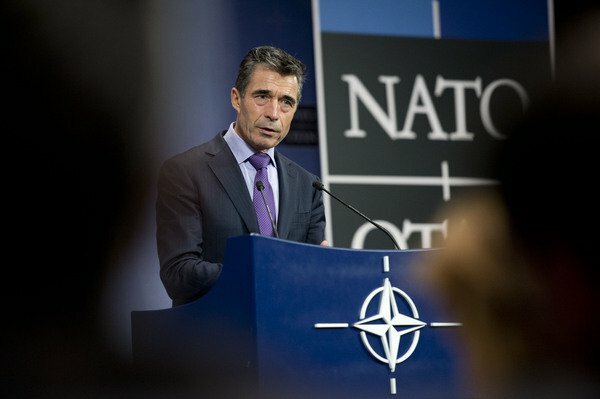 NATO Secretary General Anders Fogh Rasmussen will visit Latvia tomorrow, his trip coinciding with one of the biggest NATO joint exercises since the end of the Cold War. Steadfast Jazz 2013 is the first such large-scale exercise in the region to test collective defence scenarios in the Baltic states and Poland. Baltic leaders are stressing that the exercise demonstrates NATO’s commitment to defending the region from any external threat. The purpose of the exercise is to train and test the NATO Response Force, a militarily ready and technologically advanced multinational force made up of land, air, maritime and special forces. The Response Force is a key component of the Alliance’s collective defense capabilities. At the Adazi Base in Latvia, Rasmussen and the three countries’ presidents are scheduled to visit the Joint Allied Headquarters to watch the command and control drill – and meet the press. Steadfast Jazz 2013 started on November 2 and finishes on November 9. About 6,000 personnel from 20 Allied nations as well as partners such as Finland, Sweden and Ukraine are taking part in what is the largest NATO exercise since 2006. Russia and Belarus have been invited to observe the proceedings. However, the United States is participating with a comparatively minimal force of 200 troops. It comes at a time when the US is significantly reducing its troop presence in Europe. Nevertheless, Foreign Minister Edgars Rinkevics said that NATO’s commitment to the Baltic region was as strong as ever. “The impending visit by the NATO Secretary General to Latvia confirms support from the North Atlantic Alliance for strengthening security in this region,” he said. “Steadfast Jazz 2013 […] will provide a new impetus to the development of military interoperability, preparedness and capabilities”.